Connecting to S3-Compatible Storage. How to work with storages using amazon s3-compatible API. Working with AWS-Comlatible Cloud Hosting. Amazon S3 API becoming a de facto standard interface for cloud storages and many hosting providers allow you to connect to their storages using s3-compatible APIs. Some examples are: Dreamhost, HostEurope, Dunkel Storage, Wasabi as well as many others. 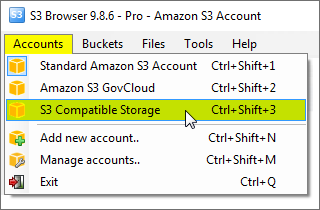 With S3 Browser you can easily connect to these s3-compatible storages with minimal configuration. Access Key Id - also known as a username. Secret Access Key - also known as a password. REST Endpoint (an API endpoint) - an address used to send requests to, it is usually provided with the username and password, it can also be found in storage documentation or obtained from the support. 1. 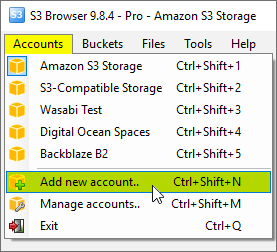 Start S3 Browser and click Accounts -> Add New Account. 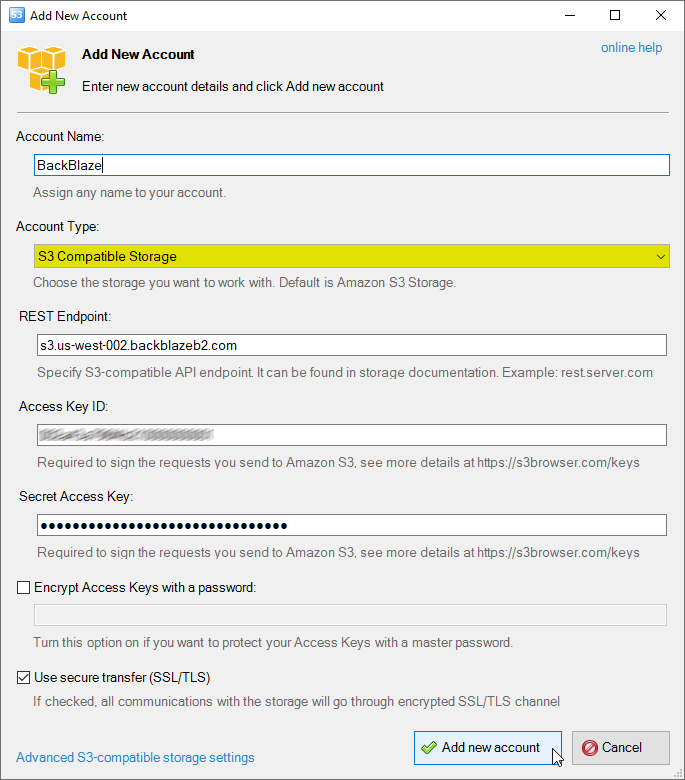 Add New Amazon S3 Account dialog. 3. Specify the REST Endpoint - An address that is used to send API calls to the storage. Please check the storage documentation or contact the storage support to find the REST endpoint address. 4. 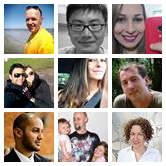 Select Signature Version - the most widely supported signature version is V2. If Signature V4 is supported by the storage, we recommend to switch to V4. 5. Specify Access Key ID and Secret Access Key - access keys can be found in your storage profile. Please check storage documentation or contact storage support to if you have difficulties in obtaining your access keys. 6. Turn on Encrypt Access Keys with a password - if you would like to protect your Access Key ID and Secret Access Key with a master password. You will be asked for a master password each time you open the account. 7. Turn on Use secure transfer (SSL/TLS) - if you would like to encrypt all communications with the storage. Click Accounts -> Account Name to switch between accounts. You may also specify custom IAM endpoint if this service is supported by your storage provider. Please use the REST Endpoint field to specify the IAM endpoint. The ;; symbols must be used as separator.